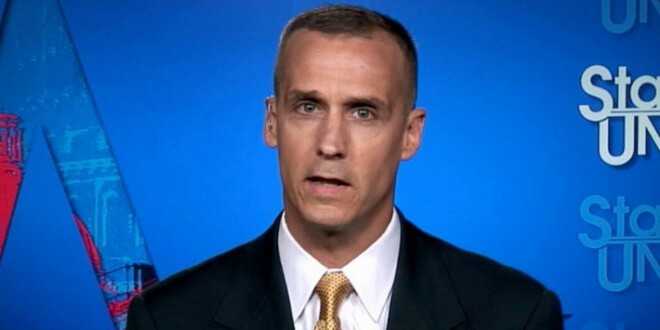 REPORT: White House Fingered Corey Lewandowski As Behind "Smear Campaign" Against Top Aide Rob Porter - Joe.My.God. On Tuesday afternoon, senior White House officials reached out to Sen. Orrin Hatch’s (R-UT) office with an urgent request. They needed the Utah Republican to put together a statement praising his former chief of staff and then-White House Staff Secretary Rob Porter. At issue was a story that was about to pop from the British tabloid, the Daily Mail, in which two of Porter’s ex-wives detailed the emotional and physical abuse they endured by him. The White House officials told Hatch’s office that the story was the product of a “smear campaign” being orchestrated against Porter by his political enemies. Among those they pinpointed was former Trump campaign manager (and current outside adviser to the president) Corey Lewandowski, according to two sources familiar with the conversations. Reached by phone on Thursday, Lewandowski flatly denied that he had anything to do with the allegations against Porter. “I’ve never had a bad word about Rob Porter,” he insisted.